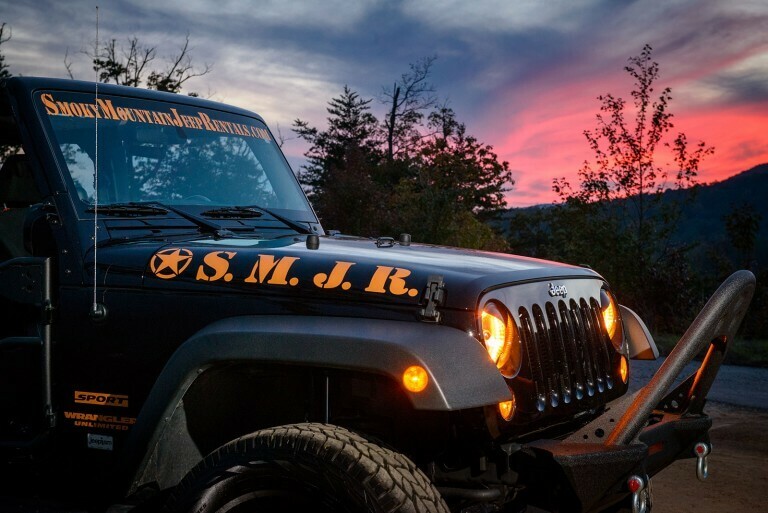 As you might have noticed, we like to get ambitious at Smoky Mountain Jeep Rentals and we sometimes set up a project or two on the side that might be useful to our Smoky Mountain visitors. 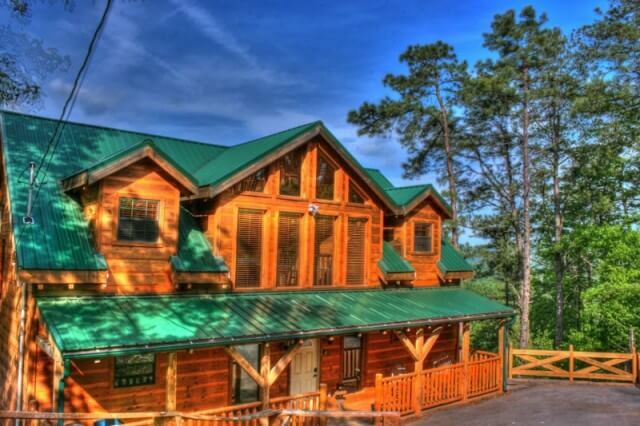 In today’s article, we’d like to introduce you to one of our most recent projects: RV Parks in the Smokies. This is a small yet efficiently designed web page we’ve made up for those who want to get information on RV parks in Pigeon Forge, Gatlinburg, Sevierville, Wears Valley all in one spot. 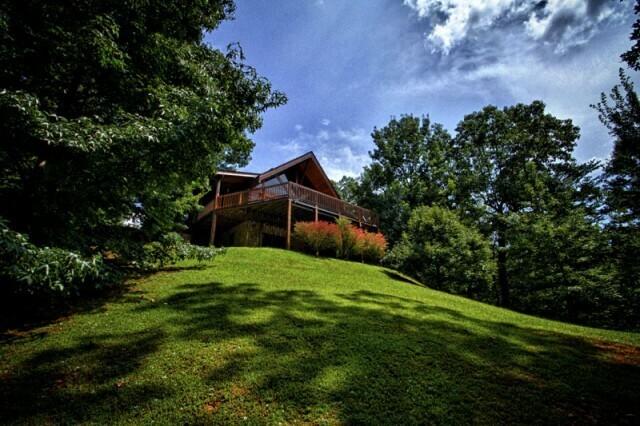 We’ve got listings condensed down to what you want to know most, first – amenities, contact information, and we’ve even got places pinpointed on a satellite map of the Smokies. 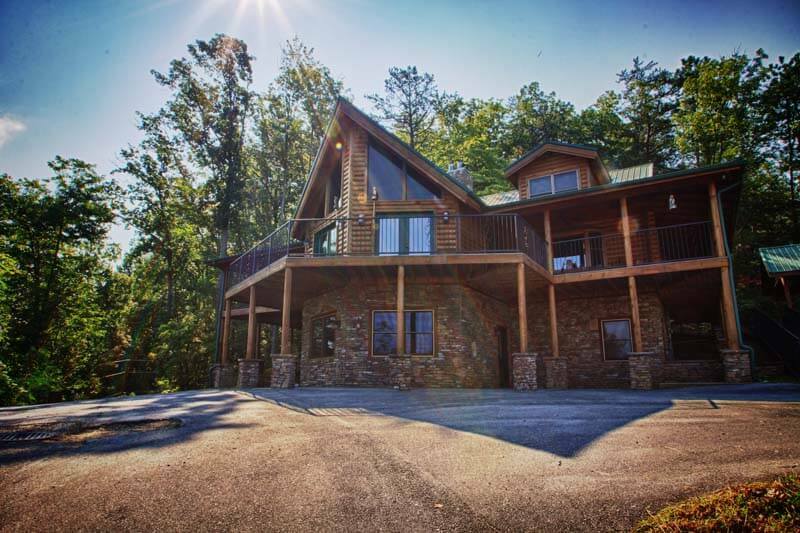 If you’re one of the many RV lifestylers we are blessed to receive in the Smoky Mountains and you’ve Googled one too many hours past your energy level to search for the right RV park for you, see our RV Parks in the Smokies project at http://rvparksinthesmokies.com/. 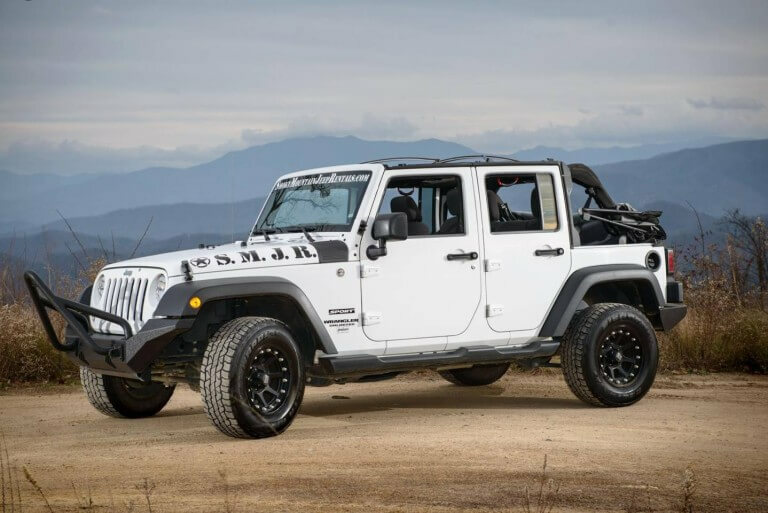 Smoky Mountain Jeep Outfitters. Visit our New Store at 1725 Walden’s Creek Road. 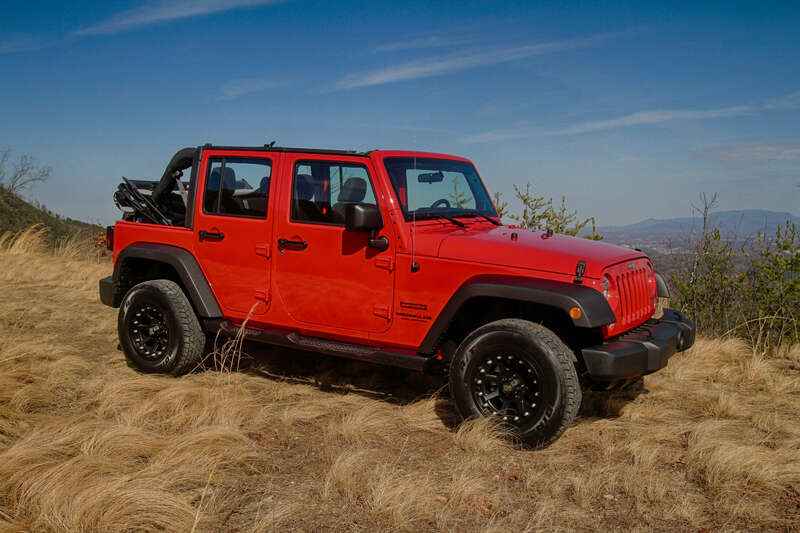 Find Jeep and Outfitter Gear to make your Jeep adventure complete. Not Renting a Jeep? No problem, maybe you have your own! You will find a unique selection of cool T-shirts, Coolers, and Brand Gear to set you on your way in style. 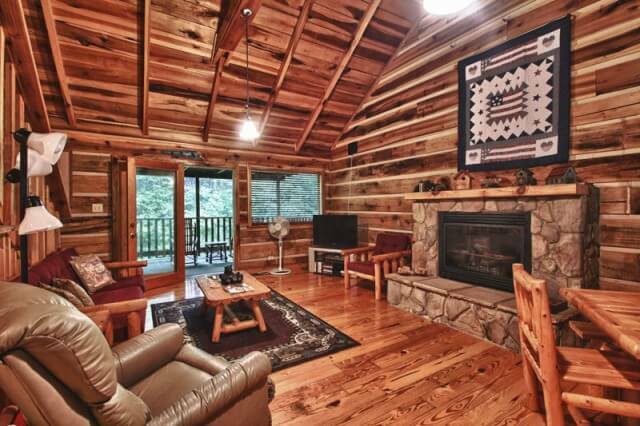 You won’t believe the fun when your family rents a jeep for your Gatlinburg Getaway. 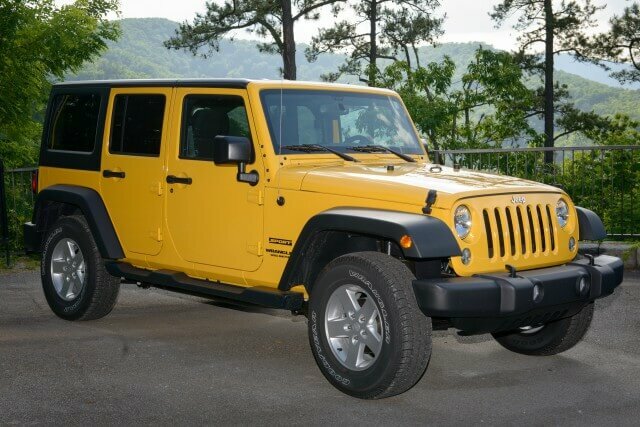 Our jeeps are the finest jeeps in Sevier County. 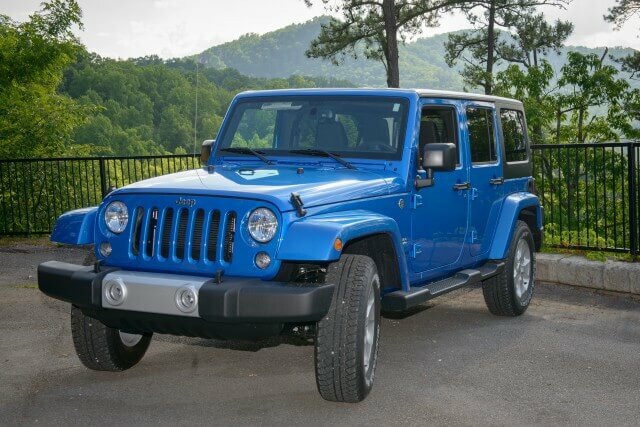 With 84 fantastic reviews and counting we are assured when you check out the options you will want to rent through Smoky Mountain Jeep Rentals. 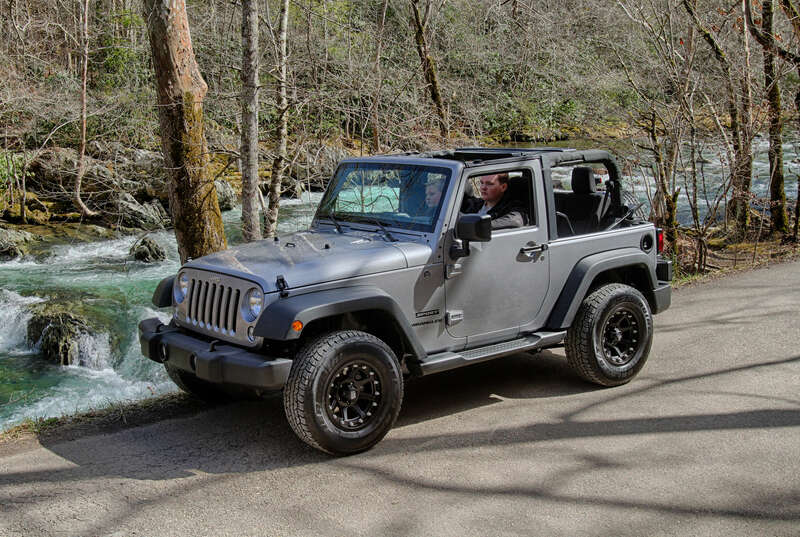 If you are looking for adventure in Wears Valley, Pigeon Forge, Gatlinburg or Townsend we have the best idea and the coolest jeeps. Easy rental with stellar service. 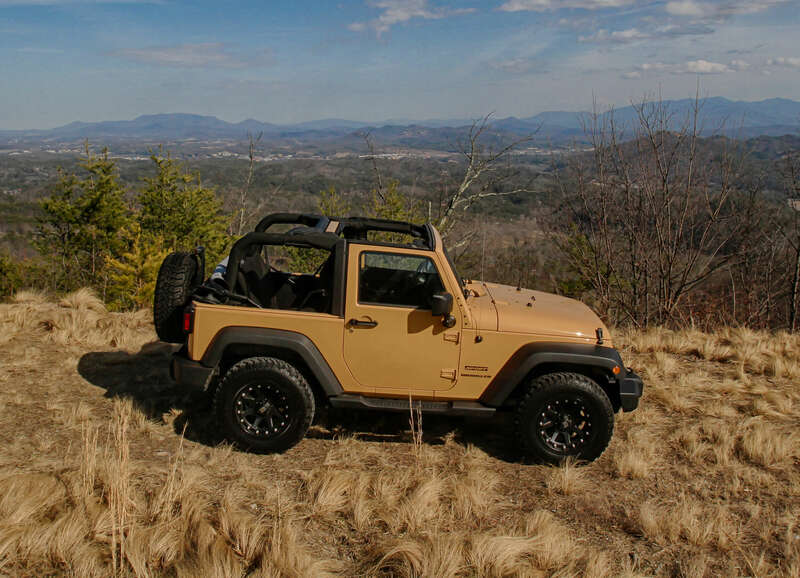 Imagine your afternoon in a Jeep Wrangler with Smoky Mountain Jeep Rentals in Wears Valley, TN. 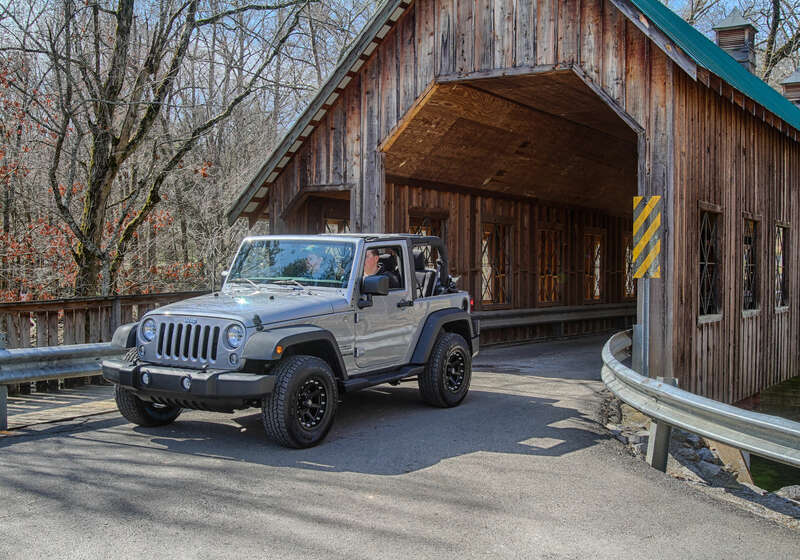 We have fully equipped jeeps with two-wheel and four-wheel drive, two-door and four-door models, that are rugged yet comfortable for your journeys through Townsend, Wears Valley, Waldens Creek, Cades Cove, Roaring Fork Motor Nature Trail, Newfound Gap and many others that exist here in East Tennessee! Wears Valley sits on the edge of the Great Smoky Mountain National Park, and with so many adventure opportunities available, GSM Outfitters on the main street of Wears Valley set up shop to provide visitors with everything they need to get started. Whether you’re gearing up to do some serious hiking, fishing, kayaking or more, GSM is the store that has the gear! Summer Hiking Clothing and Gear, Water Shoes, Sandals, Hiking Shoes, Boots, Backpacks, Trekking Poles, the list is endless. Our clothing selections are fantastic, be sure to stop by on your way to the mountains! Learn about the many popular brands we carry at our website.